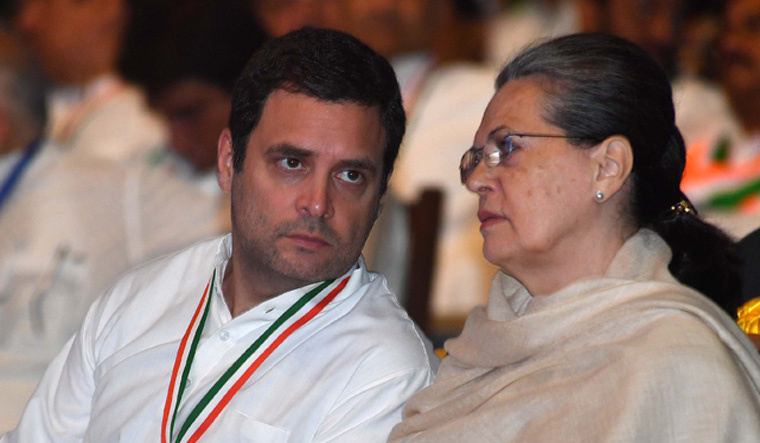 Congress President Rahul Gandhi and his mother Sonia Gandhi on Monday failed to get any relief from the Delhi High Court which dismissed their challenge to reopening of their tax assessments for 2011-12. The rejection of the pleas of the top Congress leaders, including Oscar Fernandes, will pave the way for the Income Tax Department to scrutinise their records for the assessment year 2011-12. The "writ petitions have to fail," a bench of Justices S. Ravindra Bhat and A.K. Chawla said while clarifying that the observations in the order with regard to the contentions of the Congress leaders is not conclusive and are recorded for the purpose of disposing of these petitions. "...The assessees' rights to urge them are reserved in the income tax proceedings," it said while "dismissing" the three separate petitions which were decided through a common order. The income tax probe against the Congress leaders have arisen from the investigation into the private criminal complaint filed by BJP leader Subramanian Swamy before a trial court in connection with the National Herald case. In the complaint before the trial court, Sonia, Rahul and others have been accused of conspiring to cheat and misappropriate funds by paying just Rs 50 lakh, through which the Young Indian (YI), not-for-profit organisation, had obtained the right to recover Rs 90.25 crore that the Associated Journals Ltd (AJL) owed to the Congress party. It was alleged that YI, which was incorporated in November 2010 with a capital of Rs 50 lakh, had acquired almost all shareholdings of the AJL, which was running the National Herald newspaper. In this process, YI had also acquired AJL's debt of Rs 90 crore. The tax department had said the shares Rahul has in YI would lead him to have an income of Rs 154 crore and not about Rs 68 lakh, as was assessed earlier. The department's move followed its probe on a complaint alleging that the Gandhis had misappropriated AJL's assets while transferring their shares to the newly formed YI. The bench, in its Monday order, noted that the premise of the reassessment notices was that the non-disclosure of the taxing event—allotment of shares of YI deprived the assessing officer of the opportunity to look into the records. It said in Rahul's case, the non-disclosure of share acquisition constituted tangible material justifying reassessment. In case of Sonia and Oscar, the bench said returns filed by them were processed under Section 143(1) of the Income Tax Act, which pertains to 'Notice or intimation', and are not treated as "assessments". The bench said the question raised by the Congress leaders regarding alleged improper mode or manner of issuance of email notices "does not go to the root of the matter and the notices were issued in time and served within the time prescribed". It also said that apart from a general allegation of mala fides, there is no allegation of personal mala fides against any official, or that anyone of them was hostile to the Congress leaders. The high court had on August 16 reserved its order on the pleas of the three leaders after the Income Tax Department had contended that Rahul Gandhi's tax assessment for 2011-12 was reopened as material facts were concealed. The bench had orally asked the tax department not to take any coercive step against Sonia, Rahul and Fernandes till pronouncement of its verdict. Senior advocate P. Chidambaram, appearing for Sonia Gandhi, had said he had faith in the oral statement made by the Additional Solicitor General Tushar Mehta. Mehta had argued that the Congress leaders had alleged mala fide on the part of the tax department but had not made any averments in this regard.